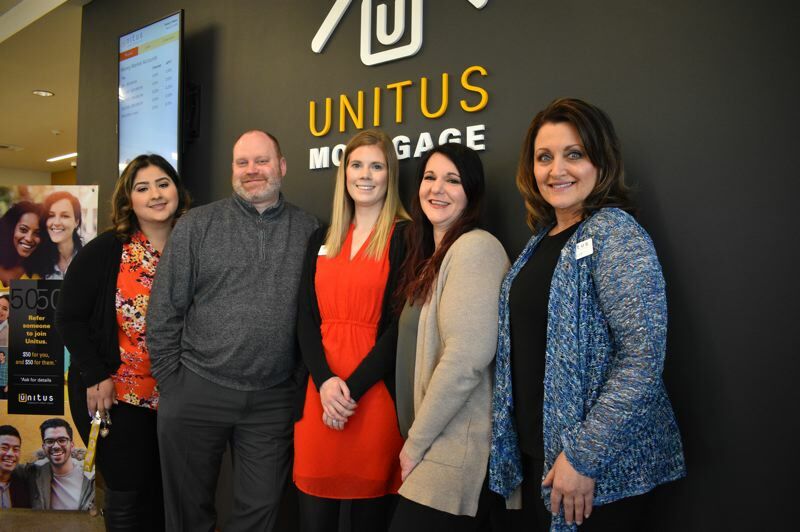 Officially, Michelle Sumpter is the manager of the new Gresham branch of Unitus Community Credit Union. In reality, the Sandy resident jumps in to help wherever and whenever it's needed. "I wear many hats," she admitted. "Depending on the day ... if others are busy, I'll take loan applications. I'll jump in at a teller window and help out. My main function is to support my team and the needs of the business." That flexibility and plucky helpfulness reflects how Sumpter and her colleagues view the overall Unitus spirit. Rather than "customers," for example, Unitus refers to its financial patrons by the more inclusive-sounding "members." "We look at things on more of an individual-member need," Sumpter said. "When somebody comes in looking for a loan, we can look at the larger picture — outside the box. A larger institution is not able to do that. We have more flexibility." 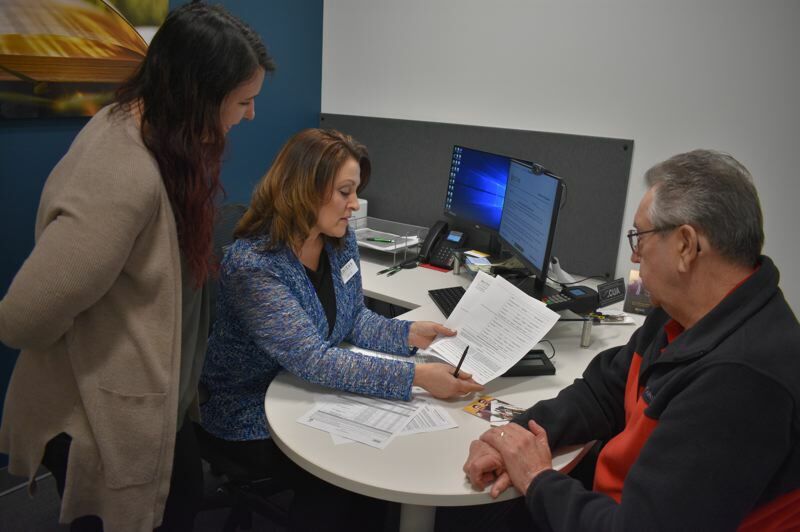 The Portland-based financial services organization opened its first Gresham branch on Friday, March 15, at Gresham Town Fair, Northwest Eastman Parkway and Division Street. 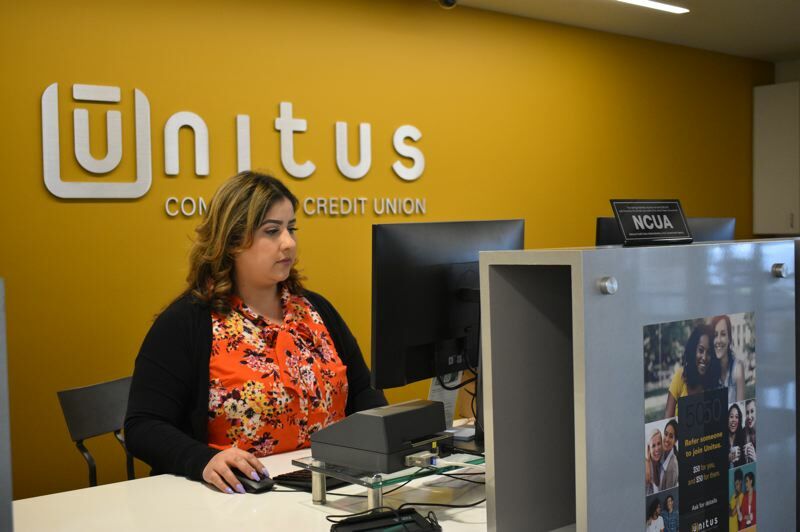 The 12-branch credit union has had a notable contingent of East Multnomah County clients for years, but until now, the closest Gresham office was at Mall 205 on Southeast 96th Avenue. Sumpter, who transferred from Unitus' Westmoreland Branch, noted the Gresham location fulfills a longtime company goal. "We have a lot of members in East County. We spent a lot of time looking for the right location and decided this was a nice fit," she said of the former Jenny Craig weight loss center at the north end of Gresham Town Fair. "A lot of members here would do their banking at Mall 205, or they work in other parts of Portland and bank on their way to work. "I think there's a need for us to be here." 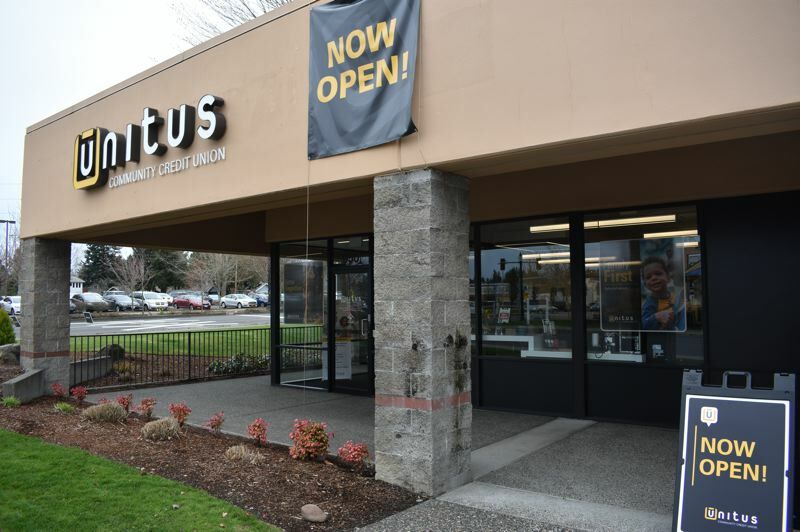 Unitus will celebrate its Gresham presence with a grand opening event from 11 a.m. to 2 p.m. Saturday, April 6. Local dignitaries likely to attend include Rep. Carla Piluso; Gresham City Councilors Eddy Morales and Janine Gladfelter; Lynn Snodgrass, CEO of Gresham Area Chamber of Commerce; and principals from local high schools. The event includes a $500 grand prize giveaway; gift card giveaways from local businesses, networking opportunities, family games like Giant Jenga and corn hole, catering and beverages provided Heidi's of Gresham and the branch's neighbor Schmizza Public House. "We're excited to be partnering with these institutions," she said. "We really like our grand openings to be fun ... Anytime we do anything like this, we work with local businesses. We like to give back." The new branch includes seven employees, five who transferred from other branches and two new hires. The small but inviting branch includes a multi-window teller line and five desks to support member traffic. Amenities like a coffee lounge and sofa- and TV-appointed waiting area go against the trend favoring online services over one-on-one interaction. "As long as members want to come in to the branch, we will be here to support them," Sumpter said. "We're just excited to be here. It's been a long time coming."